Today is Data Privacy Day; Congress voted quietly last year to have the United States join Europe in designating January 28 as an annual, international holiday to raise awareness about the importance of data privacy protection. Just don't tell the social media executives meeting in Davos this week. There, halfway 'round the world from Rotenberg's Washington, D.C., office—and while Rotenberg was commemorating Data Privacy Day in press briefings and other talks elsewhere—the chiefs of Twitter, Facebook, MySpace, Ning and LinkedIn squeezed into a small, packed anteroom at the World Economic Forum to share their predictions for social networks, discuss their impact on society (for better or worse) and ponder why their companies hadn't yet figured out a way to make big money off their subscriber's digital social connections. Tim Berners-Lee, the British physicist who invented the World Wide Web, told the Davos gathering that "little changes in how your treat privacy can dramatically affect the way a social network works." He said that in eBay's case, for example, the site has increased privacy in some areas as the online auction site has matured. The site now hides the identity of people bidding against each other. Younger users, though, seem far more open to revealing personal details about themselves. Then it was Reid Hoffman's turn. The executive chairman and founder of LinkedIn told the group: "All these concerns about privacy tend to be old people's issues." Transparency and accessibility are two reasons, he said, that so many younger users—teenagers and young adults—put their mobile phones on Facebook or MySpace. "The value of being connected and transparent is so great," Hoffman said, that privacy is not a concern but a hindrance. Rotenberg wasn't present. But Don Tapscott, author of books on the so-called Net Generation and the need for corporate transparency in the Digital Age, took Hoffman on. Social networking, Tapscott said, would become what "we want it to be" over time, meaning that if we wish to build civic values into social network sites, we will—and should. "[The Internet] has an awesome neutrality and we need to build into it basic human values," Tapscott said. "...And one of those values is the right to informational privacy and the right to be left alone. I completely reject this view that privacy is dead. It's in deep trouble, it needs to be saved and everyone needs to get involved to protect their own information." What do you think? 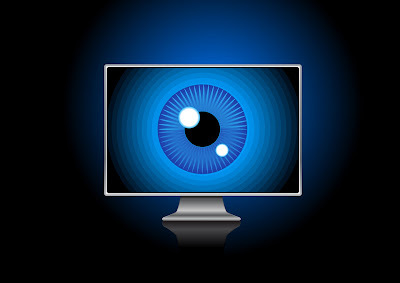 Is privacy an "old people's issue" or more about civil liberties in the 21st century? Let us hear from you. 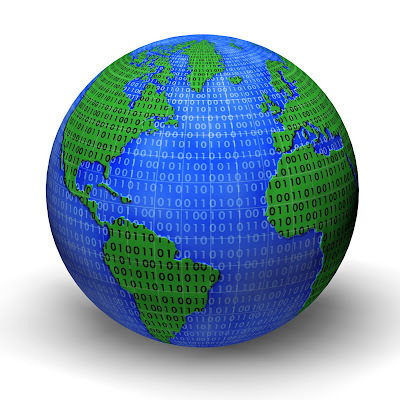 Virtual Worlds: The New Green? For more on Drax, see Mo' Real, a short profile and report by Drax on President Obama's health care reform plans that appeared here, on the Cause Global blog early last year. 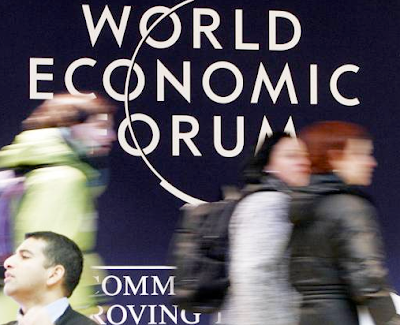 The annual World Economic Forum got under way today in Davos, with 2,500 of the world's business and political elite gathering at the famed Swiss mountain resort under the apt new theme, "Rethink, Redesign, and Rebuild." It is a chastened crowd: WEF Founder Klaus Schwab told reporters the Forum is being held this year "in a mood of reflection" and that the global economic crisis "is really reflective of a deeper crisis of values, overall." Indeed, there is much talk in Davos this year about the need to fast-forward social enterprise and social innovation, and to more urgently use social media to crowdsource new solutions for many of society's ills—whether in Haiti or closer to home. There also is a hunger among attendees for examples of social innovation that works, and with them, the reassurance that change-for-good can be replicated and scaled globally. Indeed, the sense of euphoria about globalization that has marked Davos for years has been muted by the global financial crisis, making the 2010 gathering a call for a more civic global society to insure the sustainability and advancement of global leadership. Some people have returned to Davos this year, says writer David Ignatius of The Washington Post, "because with something as ephemeral as globalization, I think there's a desire to actually touch it, feel it, stand next to its fellow members in line for a cup of coffee or the men's and ladies' rooms. Floating in a networked world, you want to believe that there are real people with hands on the controls, a real place, anchored in the snow and ice each January..."
* A meeting of Young Global Leaders, one of WEF's 16 communities holding gatherings this week in Davos, cited three cause-activism trends to watch in 2010. First, given Haiti aid groups' success, expect a surge in the NGO and nonprofit use of mobile and text-messaging applications to raise fast money for a cause. Second, watch for a continued rise in "slacktivism" -- the use of easy, click-to-donate and online volunteering tools by micro-donors to battle social problems. Third, expect to see more nonprofits and social enterprises using "crowdsourced philanthropy" in the form of recent contests such as the Chase Community Challenge, the Pepsi Refresh Project, and the American Express Members project. * A dinner meeting of 30 top social entrepreneurs urged more coordinated efforts to solve global problems and educate people in developing countries how to use technology to better their lives. Dinner attendees included Martin Fisher of KickStart, who noted that technology innovations don't tend to be adopted by poor rural farmers, so time-limited "smart subsidies" might be used, instead, to encourage the adoption of these innovations until the commercial markets can take over. Also attending were Harish Hande of Selco of India, and Andreas Heinecke of Dialogue in the Dark, a social enterprise that employs blind people to host exhibits and business workshops in total darkness, where participants learn new communications perspectives. * Nike formally launched GreenXchange at a CEO breakfast. The Xchange is a Web-based marketplace where companies can collaborate and share intellectual property, which can lead to new sustainability business models and innovation. Ten organizations have already signed on; we'll be looking more closely at this group in a future post. In the United States, the time spent on social media sites has increased even more, the survey says. Total time spent on network and blog sites has increased 210 percent in the last year, with the average person spending 143 percent more time on these sites than they did a year ago. The U.S. is second only to Australia in time spent on social media, the Nielsen survey says. Social media activity ranks as the most popular, the pollsters said, with gaming and instant messaging the next most popular. Facebook emerged as the leading destination in the category, with 209.8 million unique users, or 67 percent of the world's Internet population. And that's not all: Twitter continues to grow at a faster pace than any other social media destination, with 579 percent more unique users in December 2009 than in the same month in 2008. But social media site-runners, beware. Nielsen says there is reason to suspect that Twittering has peaked, in that traffic to the site actually declined 5 percent in December. 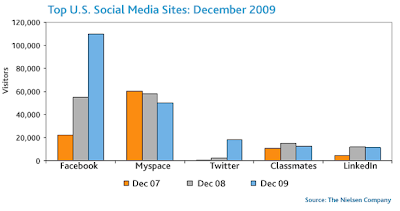 Meanwhile, social networks Classmates and LinkedIn also showed a December decline, year-over-year. Says Nielsen: "This is an impressive an undeniable shift in user mindshare that no publisher can ignore. It underscores the importance of media brands learning the language of social media and having an active presence in the social networking places that users are now treating like their Internet portals." So far, the billionaire philanthropist is following 42 people, including Vinod Khosla, the venture capitalist, celebrity Ryan Seacrest, commentator George Stephanopoulos, New York Times columnist Nicholas Kristof, President Barack Obama, and dynamic data whiz and public health professor Hans Rosling, for starters. 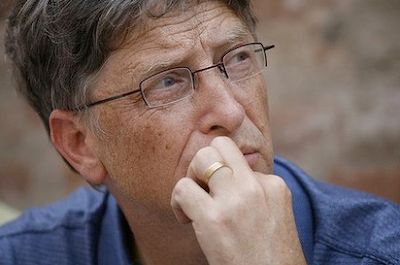 Gates's move to social media, like Microsoft's move to the Web, comes late in the game. But Gates-watchers are taking a better-late-than-never stand, saying his conversion will undoubtedly lend his foundation more of a "cool factor" as well as help to further soften Gates's anti-social image. * Gates cited the San Francisco startup, Academic Earth, as among new education sites that will "revolutionize education" by offering students personalized learning experiences. Academic Earth, called by TechCrunch a "sort of Hulu for education videos," provides a user-friendly platform for educational video that offers courses and lectures from Yale, MIT, Harvard, Stanford, UC Berkeley, Princeton and others. Gates says his foundation will be investing in online courses that are able to provide interactive applications for children; he says he's also working to ensure that all libraries have computers with Internet access. * Endorsed President Obama's push to double foreign aid giving, to make sure "the United States will get up into a very respectable range" of giving compared with other wealthy nations. He admonished Italy, specifically, for lowering its foreign-aid budget, saying that in June, he met personally with Prime Minister Berlusconi to make the case for more support, "but I was unsuccessful," Gates wrote. "This is a huge disappointment since I still think the Italian public wants to be as generous as people in other countries." Much has been said about how the mobile Internet is helping to imbue our everyday lives with a restless sense of urgency, for better or worse—what Twitter tummler Jeff Pulver calls "the State of Now." But this week, given Haiti's troubles, it's clear that there's one upside of this "nowism" that has become irrefutable: mass-mobile, location-aware micro-donations to people in need around the globe. Not convinced? 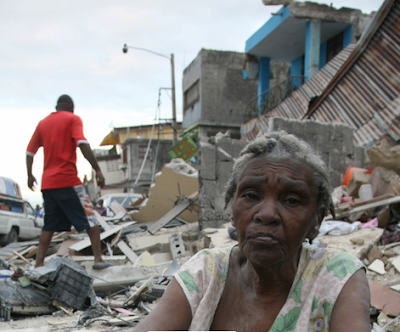 "Never before have people donated money to disaster relief at the scale and speed and ease as they have in response to the Haiti earthquake," nonprofit consultant Lucy Bernholz wrote today on her blog, Philanthropy 2173. "Technology changes so quickly, that we have almost entirely new platforms to deploy for each new disaster; each (disaster) is the 'biggest, fastest' example ever of using the platform of the moment (to give aid)." 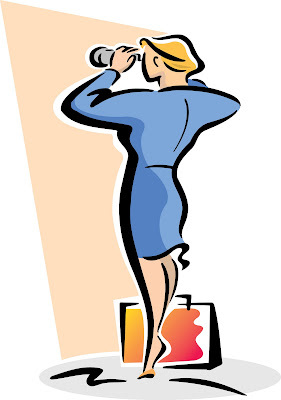 This time around, Twitter, texting and social networks led and created swarms of instant-givers. And what a mobile outpouring it's been: according to the Mobile Giving Foundation, donations made via mobile phones to Haiti rescue efforts during the first 36 hours after the quake had topped $7 million. That tally included all the short message codes managed by the organization, and it's a mobile giving record for funds raised for a single cause. Meanwhile, the American Red Cross—despite the criticism it got during Hurricane Katrina for telling donors their money would be used in New Orleans, when it sometimes wasn't —says it has raised $7 million so far for Haiti through $10 "text" donations. It is coordinating its first-ever texting campaign with a mobile donations firm called mGive, and the outpouring is part of a larger surge of money flowing into international Red Cross coffers for the devastated nation: nearly half of Red Cross donations to Haiti since the quake have come in via texting. As of Thursday night, the Red Cross had raised some $35 million via mobile texts and Twitter blasts and Facebook appeals. And that's not all. Everyone's now joining the mobile aid party, aware that speed-of-giving is critical as hundreds are now dying in Haiti by the hour. Mashable is reporting that Skype has sent $2 vouchers to all of its customers in Haiti, allowing them to make up to one-hour's worth of calls to the United States. T-Mobile, meanwhile, has dropped all charges for calls and texts to Haiti through the end of the month, while other carriers are waiving charges for "donation texts." Text-message donation campaigns will, no doubt, become the first line of response for many more cause activists in the months and years ahead. To be sure, "old-fashioned" online giving will still outweigh mobile giving this year. But the takeaway here? Mobile giving is reaching whole new legions of people, from many who may not have given anything before texting made it so easy. Text-donations are giving the "urgency" trend in the marketplace—and donors, at least—a whole new way to define "instant gratification." For more on mobile aid to Haiti, see MobileActive.org's post, Earthquake in Haiti: How You Can Help , which is all about managing your inner "now" for Haitians who need all the urgency you can muster. How are you and/or your companies using mobile to help Haitian quake survivors? Is it tapping donors who might never have given before? Let us know and we'll share your work in a later post. 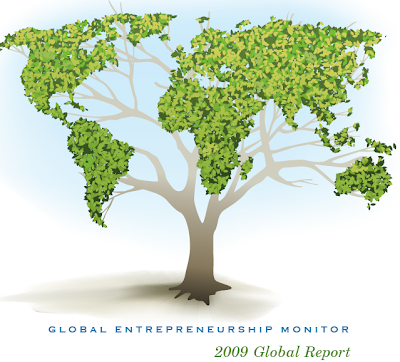 The latest Global Entrepreneurship Monitor was launched today in Santiago, Chile, and it’s showing that young social entrepreneurs are rising in influence and number across the world, chiefly in innovation-driven economies. It was the first time that the 10-year-old survey partnership between the London Business School and Babson College—the largest single study of entrepreneurial activity in the world—included a measure of new social enterprise activity in its annual survey. * More men than women started socially oriented ventures. * Social entrepreneurs tended to be active at younger ages than business entrepreneurs. * Better-educated individuals were more likely to be social entrepreneurs. * Social ventures were started in a variety of areas—notably education, health, culture, economic development, and the environment. * The distinction between “social” and “regular” entrepreneurship was sometimes blurred. However, GEM says that social objectives (not-for-profit and hybrid social enterprises) still prevailed over more economic (for-profit social enterprises) and less innovative ones (traditional NGOS). * Social entrepreneurial activity was much lower than traditional entrepreneurial activity in almost all countries surveyed, though in some countries (chiefly Peru, Colombia, Venezuela and Jamaica), there was a significant overlap of social and business entrepreneurship, suggesting that 'social' and 'busines' entrepreneurship categories may be blurred. * Social entrepreneurs differed widely in the type of organizations they launched and the kind of social or environmental problems they tried to solve. Social enterprises identified in the report spanned a broad spectrum of categories, including education, health, culture, economic development and the environment. * There were differences in social issue focus among the countries, depending on their level of economic development. "Social entrepreneurs in (developing) economies tend to focus on more elementary issues and pressing needs such as basic health care provision, access to water and sanitation or agricultural activities in rural areas," the report said. "In innovation-driven economies, individuals are particularly active in launching culture-related organizations, providing services for disabled people, focusing on waste recycling and nature protection or offering open-source activities such as online social networking." Across all 49 countries surveyed, not-for-profit social enterprises were most prevalent (24%); followed by hybrid for-profit/nonprofit models; for-profit social enterprises (12%), and traditional NGOs (8%). There were regional preferences: hybrids, for example, were most popular with social entrepreneurs in the Scandinavian countries of Finland and Iceland, as well as in Algeria, Uganda, the Dominican Republic, Hungary, Latvia, Malaysia, Belgium, France, the Netherlands, Slovenia and Switzerland. Meanwhile, the for-profit social enterprise model is most favored, GEM says, by the United Arab Emirates, Venezuela and Romania. The earthquake in Haiti is becoming another important test of social media in advocacy: Catholic Relief Services is using Skype and Facebook in its efforts (phone service is down), while Oxfam is making use of the audio blog site ipadio, so its people can broadcast live updates about their efforts in and around the disaster zone. Ushahidi, a social media platform that crowdsources and maps crisis data, also got off to a running start, deploying a site for Haiti—Haiti.ushahidi.com—within hours of the quake. Ushahidi's goal in Haiti: to provide people with real-time information about any quake-related violence as well as up-to-the-minute data on where to find the closest doctors, supplies, medicine, and shelter. Ushahidi—which means "testimony" in Swahili—was initially created as an early-warning system amid the savage, inter-tribal violence that followed the Kenyan presidential election in late 2007. A government ban on live media throughout that crisis made Ushahidi one of the only places where citizens could share information about the attacks. In Haiti, Ushahidi is again producing "heat maps"—visualizations of places where civic passions overheat or where help is most concentrated and available. If Haitians can "see" where violence or aid is concentrated in real time during the crisis, says cofounder David Kobaya, they can manage their survival more effectively. Further, those sending aid can target it more precisely to the areas that need it the most. Ushahidi asks citizens to call, text, or email site editors with eye-witness reports or accounts passed along from people on the ground; the nonprofit then aggregates the reports and makes a map, which is posted and updated in close to real-time. The more people who send in information, the better; Kobaya says more information tends to verify itself over time. For more on Ushahidi, see "Mob Protection," a Cause Global profile of Ushahidi from September 2008. * Haitian singer Wyclef Jean sent out the following appeal on Twitter before most aid agencies knew whether their people on the ground were safe: "Haiti needs your help if you r in the US text Yele to 501 501 and 5 dollars will go toward earthquake relief in Haiti. International donations can be made @ http://www.yele.org." 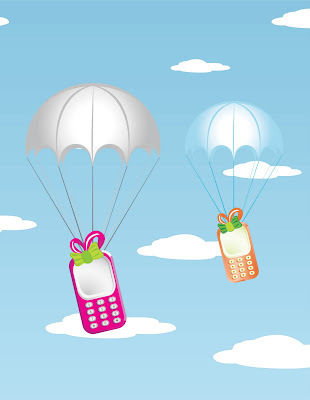 * techPresident reports that SMS donations to the Red Cross are being passed through without any carrier fees or processing fees, with the Mobile Giving Foundation and MGive handling the transactions and declining to take a cut. Texting HAITI to 90999 sends $10 USD to the Red Cross. Donations are flooding into the Red Cross by text message: within a few hours of operation Wednesday, the program had raised $750,000 from about 75,000 individual contributions, according to Red Cross officials. According mocoNews.net, a news blog covering digital media, mGive's co-founder and chairman, James Eberhard, was awakened in Pakistan by U.S. State Department social media advisor Alec Ross to get the short code up and running. Since then, #Haiti and #RedCross have all become major trending topics on Twitter, mocoNews reports. * The State Department is tweeting updates from the ground and from Washington. * Partners in Health, led by Dr. Paul Farmer (Mountains Beyond Mountains), is leading an aggressive online fundraising drive for the country in which it has been working for many years now. *Hundreds of tweets per minute have been pouring into Twitter's #haiti hashtag feed, providing added perspectives to the digital narrative of the suffering, and Twitter user @troylivesay, based in Port-au-Prince, has been posting updates of the aftermath. His tweets have included: "Leaving to look for a list of people; will try hard to report back" and "church groups are singing throughout the city all through the night in prayer. It is a beautiful sound in the middle of a horrible tragedy." * GlobalVoicesonline.com, a crowdsourced news site from citizen journalists around the globe, has been providing first-person accounts from the ground and independent news stories since minutes after the quake. * Twitpics—photographs taken on mobile phones and transmitted instantly around the world via Twitter—are helping to provide a visual narrative of the suffering, both to the public at large as well as to established news organizations, including CNN, which otherwise would not have had access to immediate video and photographs of the devastation. @CarelPedre, the Twitter handle for Carel Pedre—one of Haiti's most popular radio and TV hosts—has been sending out dozens of photographs (including the one illustrating this post, above). Check updates on his Twitter feed. Today, three young social entrepreneurs -- setting a radical precedent in the social innovation sector -- announced that they are offering up a portion of their future income in exchange for immediate resources to scale their social enterprises. The trio has created a Web site and a name for their request -- the Thrust Fund. They announced their bold move today on the Social Edge Web site in a post entitled, "Invest in Me, Take My Equity." 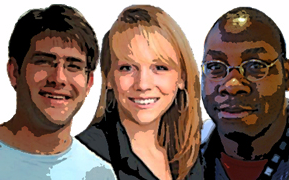 The three entrepreneurs are: Saul Garlick, 26, founder of ThinkImpact, a startup nonprofit that connects American students to rural villages in Africa to alleviate poverty; Kjerstin Erickson, 26, the founder of FORGE and a blogger on Social Edge, and Jon Gosier, 28, the founder of AppAfrica, a social venture investing in African software entrepreneurs to create jobs and build their own companies. "(We) are announcing that we are ready to do something we had never heard of one month ago," the post reads. "We are going to offer equity in our life's earnings for an unrestricted infusion of cash today." Gosier and Garlick are each offering 100 shares in themselves, priced at $3,000 USD per share, to raise $300,000 each in exchange for 3 percent of each man's future earnings; Erickson is "selling" 200 shares in herself at $3,000 per share for a total capital investment of $600,000, in exchange for 6 percent of all of her future earnings. Interested investors are invited to fill out and sign a contract that further stipulates the terms of the unusual offer. The idea of 1-to-1 investing isn't new in the nonprofit sector. But it's just starting to take off in the social enterprise space. The other week, in a piece for this blog entitled "Mainstream Medicis," I wrote about how one social investor had decided to give a young entrepreneur he believed in some investment capital in exchange for a percentage of her future earnings. That move, detailed by investor/entrepreneur/tech consultant Rafe Furst last fall in his personal blog, has spawned considerable discussion across the sector in recent weeks, but today's Thrust Fund announcement was the first time that any social entrepreneurs have stepped forward to offer themselves as candidates under the concept. The idea isn't complicated. Instead of investing in start-up companies, angel funders could invest in individuals they believe in and then take a percentage of their life's income over time as the ROI. "If we loved perpetual hand-to-mouth fundraising for our social enterprises, we'd never make this announcement," the trio wrote in their Social Edge post. "If the market were up to speed on the scalable potential of social entrepreneurship with engaged funders like the more advanced VC community that the exclusively for-profit sector looks to for scale, this discussion would be lame. But it's not and we are raising money hand-to-mouth when we know for sure that a modest infusion of capital would scale our social enterprises." What do you think? Is the sector likely to see a flood of such investment deals, or is this idea still too new and untested to take seriously? Let us hear your thoughts. The word on Wall Street is that Goldman Sachs -- to soften criticism over the size of its bonuses this year -- is thinking about expanding a program that would require its executives and top managers to give a set percentage of their earnings to charity. Goldman is expected to report later this month a record profit of more than $12 billion for 2009, up from $11.7 billion in 2007. According to The New York Times, the details over the charity requirement are still under discussion, but it would probably mean that Goldman's top guns would be required to give hundreds of millions of dollars to charity. It was not immediately clear whether a new department would need to be created to administer the mandated giving. 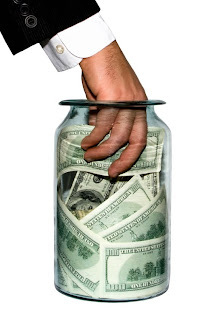 In recent days, some in the giving sector have suggested the following: that any talk of mandatory charity is "a little creepy" (Daniel Indiviglio in The Atlantic); that giving to good causes "doesn't rack up karma points if you didn't think to do it yourself" (GOOD's Morgan Clendaniel), and that Goldman might consider using some of its enormous profits, instead, to establish some type of new social enterprise or next-phase microfinancing arm to move from a mindset of charity to one of social innovation (yours truly). What do you think? Should there be a charity requirement? If not, why not? And rather than contribute millions to various charities, might Goldman use that money in another way to help those in need? Here's a quick-and-dirty list of some of the top social innovation conferences and conversations taking place through June 2010. This list isn't complete; please share any events we've overlooked. A list of July-December 2010 events will be issued in the spring. It's New Year's Day and time to forecast which trends are most likely to shape the cause-wired landscape this year. More than ever, it seems, online activists are divided over how they think the Web will empower them in new ways to make change in the world. To be sure, 2010 will be another tough year economically for many start-ups and social advocacy groups. At the very least, proving social impact will matter more than ever. But these same rising pressures to make measureable change also will lead to innovative new forms of online collaboration and consolidation. Low-cost social media will be used ever-more widely and creatively by social enterprises and advocacy groups to aggregate new levels of clout, funding, innovation and community support. * Divisions between traditional "giving" sectors will continue to fade. More organizations, companies and consumers will seek to achieve a branded, demonstrable impact on social problem-solving with the dollars, time and ideas they spend or contribute. Look for social entrepreneurs to collaborate on new ways to prove, measure, and scale their social impact across time, place, sectors and ideologies. The recent launch of the Global Impact Investing Network, for example, will push the cuase of social investing by bringing together global philanthropists, ethical banks and social entrepreneurs and enterprises to apply the microfinance model to health care an other services needed by those living in poverty around the world. Look, too, for more offline conferences that celebrate collaboration among activists across sectors for social change. Example: The two-year-old CUSP conference in Chicago, which features social innovators who are reshaping society by design, regardless of whether they are from the corporate, education, religious, nonprofit, entertainment, or technology sectors. Look for more such efforts to scale cross-sector social innovation for greater impact. * New ways to measure impact will emerge. Mobile and location-awareness technology -- because it will enable people to get closer to measuring their personal impact on the world in real-time -- will continue to radicalize the social enterprise space and the giving experience (watch for Foursquare, Google Latitude, Loopt, FireEagle and other such geo-location "games" to become more socially conscious this year), reshaping how and what people donate. Giving money will become less important than giving voice, giving time, giving influence, and giving work. Look for social networks to create new ways to reward those who demonstrate the most activity around socially-conscious activities. * Micro-activism will proliferate. Expect to see new start-ups modeled after The Extraordinaries, an online micro-volunteering enterprise that enables people to give short bits of their time via their mobile phones from anywhere at any time. Also look for more micro-gift enterprises to emerge, such as Dreambank.org, which allows causes or individuals in need to receive a portion of what they need or want from many people rather than get gifts or input they can't use (such as wool blankets for weather-disaster victims in tropical climates). Additionally, look for more micro-funding groups like World Nomads, which through its Footprints program funds large-scale international development projects through micro-donations. Expect, too, the rise of micro-seed funding and 1-to-1 financing of social entrepreneurs. Additionally, get ready to see new types of micro-work enterprises to stem from SamaSource, which uses the Web to outsource digital work for larger companies to educated people living in poverty in developing nations. The micro-craze will also lead to more innovative uses of social media platforms like Twitter and Ning by social enterprises to crowdsource micro-services and influence that scales. * More small causes will be aggregated to achieve greater impact. Consider the innovative umbrella group, Wildlife Direct, a Kenya-based nonprofit enterprise that aggregates autonomous wildlife conservation activists under a single umbrella and gives each exposure to individual donors. Says Paula Kahumbu, a 2009 PopTech fellow and Wildlife Direct's executive director: "Underfunding is conservation's biggest threat. By giving each of the wildlife activists a blog, we enable individual donors from around the world to communicate directly with the people they are funding." [Think donorschoose.org meets The Huffington Post meets wildlife conservation.] The goal, says Kahumbu, is to create a single platform for the many smaller groups working to save wildlife in Africa. "We have much to share with each other -- each activist or group of activists is working on a different animal or aspect of the problem. We are stronger working together than we are alone." Additionally, the newly-launched Social Entrepreneur open API, which is a search engine for finding social entrepreneurs, is an effort to provide an exchange and transfer of information so as to avoid duplication in the "do-good" sector. One site to keep watching in 2010 is SocialActions.com, as well as the Compathos Foundation, which connects volunteers and financial resources with nonprofits through digital storytelling. * Co-working goes mainstream. 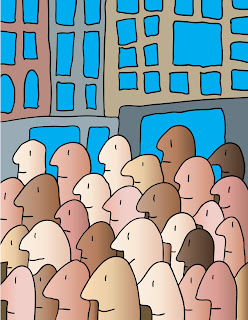 Until recently, co-working spaces -- which Wikipedia defines as "the social gathering of a group of people, who are still working independently, but who share values and who are interested in the synergy that can happen from working with talented people in the same space" -- were concentrated most heavily in San Francisco and New York. In the past, co-working has mostly been a way for newbie start-up founders to share space and expenses. 2010 will likely see the expansion and formalization of these types of spaces both geographically and intellectually, as more will become incubators for start-up funding and volunteer support. Example: The Unreasonable Institute, a new nonprofit, has announced it will bring 25 global social entrepreneurs to Boulder, Colo., this summer for 10 weeks to co-train, co-work, and explore seed funding collaborations. Look for more such social enterprise colonies and retreats to pop up this year, based on the 20th century model of artist's colonies and writer's workshops. * Online swarms gain clout. The combination of mobile phone, geo-location, and real-time organizing technologies and platforms will embolden "flash cause and consumer mobs" to exert their influence in new and expanded ways. Globally, mobile data traffic is set to double every year through 2013, increasing 66-fold between 2008 and 2013. Look for more nonprofits to "hire" members of online social networks who have the most online and mobile followers to help them raise funds and awareness on-demand; look for a continued rise in new consumer-complaint platforms such as Quiet Riots, a UK start-up that offers disgruntled consumers a way to crowdsource their complaints and give companies a way to address them. Look, too, for more companies and nonprofits to be held more publicly accountable for their actions. Case in point: JPMorgan Chase's recent online contest snafu. What are some of your predictions for the year ahead? Go ahead, it's your turn. Tell us what you think -- and what we missed.